Pattern includes all sizes from Newborn to Adult. You are free to sell your creations that are made from my pattern. Please mention Yarn Artists when selling online. 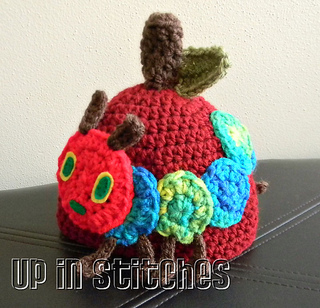 Also the caterpillar could be sewn together and make a wonderful bookmark for anyone. Thank you for considering my pattern. HAPPY CROCHETING! !